The importance of coated fabrics in the future - this is what ContiTech AG will be demonstrating at TechTextil Russia which takes place April 20-22, 2010, in Moscow. The focus at booth E 18 in hall 3 (German Pavillion) will be on protective clothing: ContiTech Elastomer Coatings - one of the leading suppliers of protective clothing materials - will be presenting innovative new materials for personal protective equipment, featuring highly resistant, mediaimpermeable barrier layers for optimum protection from chemicals and gases. 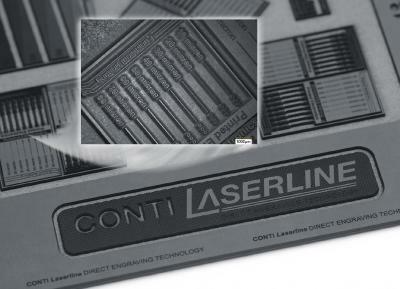 What makes the ContiBarrierSystem® stand out is its combination of elastomeric composite materials and two embedded ultrathin polymer layers. The advantages: increased impermeability to nearly all gaseous, liquid and solid media, and a barrier effect if one barrier layer is destroyed or damaged. 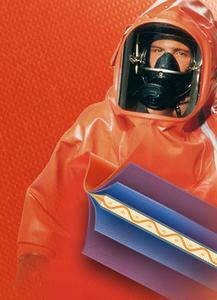 Hazardous substances such as chlorine, chlorinated hydrocarbons and ammonia are unable to penetrate the barrier layer. A high resistance to acids, lyes and aggressive chemicals, together with an excellent tear resistance, guarantees the highest possible level of safety for the wearer. However, thanks to its two polymer layers, the material is still very light and easy to work, and thus also offers cost advantages for suit manufacture. 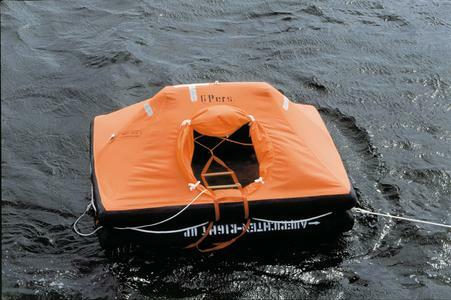 In addition to this, the company will also demonstrate its expertise in the life raft materials industry. Thanks to ContiTech's longstanding, excellent customer service and market support, it has been able to convince customers throughout the world of the quality of ContiTech's natural rubber material, which possesses many advantageous qualities - it is sturdier and, at low temperatures, more stable than polyurethane, for example. 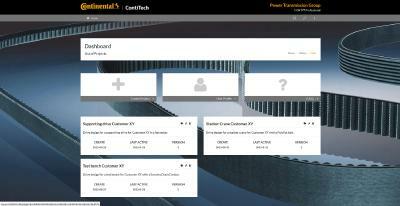 The Benecke-Kaliko Business Unit will also be represented at the ContiTech booth. Interested visitors can find out about the product range for vehicle interiors, as well as about fashionable hightech materials such as those in the CeraPrene® series for athletic and outdoor shoes.